A considerable number of Rolls-Royce and Bentley motor cars (and that be said as regards products from other car manufacturers, too) at some later stage during their lifes became re-bodied. The massive frame and the technical components did offer a basis of exceptionally fine quality although the original coachwork had suffered severely or simply was out of fashion. In such cases to invest in new coachwork made for a nice transport at a fraction of the price of a new car. If cars had been damaged by accident or fire these were candidates, too, for a ‘second lease of life’ with a new body made or coachwork from another car becoming transferred onto the chassis. Such was common practice and could hardly be criticised. The design of the new body was, of course, entirely the decision of a car’s owner. Many cars did receive new coachwork to designs from later decades; obviously several pre-war cars were up-dated to post-war lines. 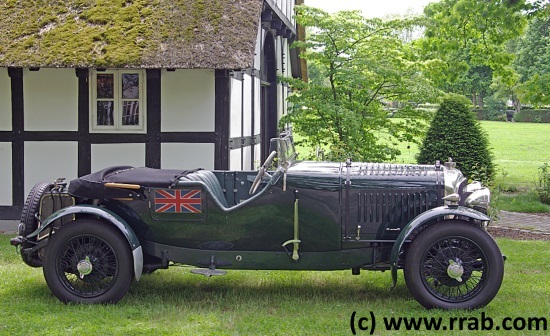 In certain cases an owner preferred to have the car re-bodied to a somewhat nostalgic outward appearance as can be stated on this Bentley 4 ¼ Litre. The identity-relevant characteristics, i.e. chassis and components of the drivetrain, remained unchanged ). It is worth a note that a wide area of acceptance did exist from early onward because the manufacturer themselves offered to modernize to a technical specification of a later standard. But one significant example: On the Rolls-Royce Silver Ghost the makers announced to up-date earlier models to 4-wheel-brakes instead of rear-wheel brakes only after such became series-standard from 1925 onward. 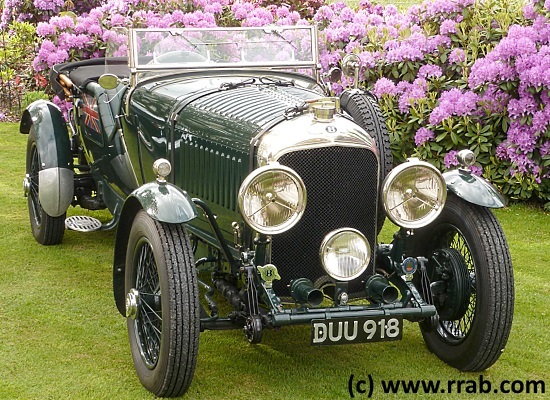 If later someone did insist a Bentley Mark VI to be improved by substituting the ‘early’ 4 ¼-litre engine by the ‘later’ 4 ½-litre engine – OK then, that did happen quite frequently. 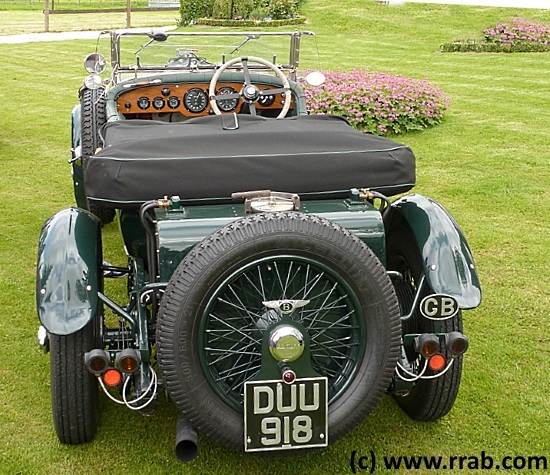 An entirely different comment might be ignited if ‘shoehorned’ into the relatively filigran frame of a Bentley 3 Litre was instead of the original 4-cylinder-in-line engine the much heavier and more powerful 6-cylinder-engine of a 6 ½ Litre or even of an 8 Litre. Nonetheless even such ‘Specials’ have been created.